The Girl They Call Es: Jay-Z x SkullCandy. Jay-Z teams up with headphones company, SkullCandy, on some Roc Nation headphones. These are tough! Interesting that they choose brown for a color but they look very luxurious! lol Like some LV type stuff. They cost $149.95,,, so you could either cop these or an iPod shuffle that comes with earphones. lol I bet the quality of these are amazing though! Not a Mason! 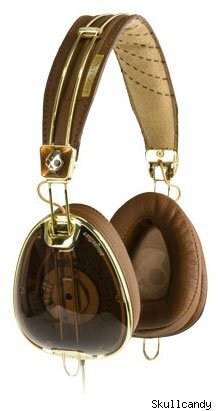 Pre-order them at http://www.skullcandy.com/ !! !